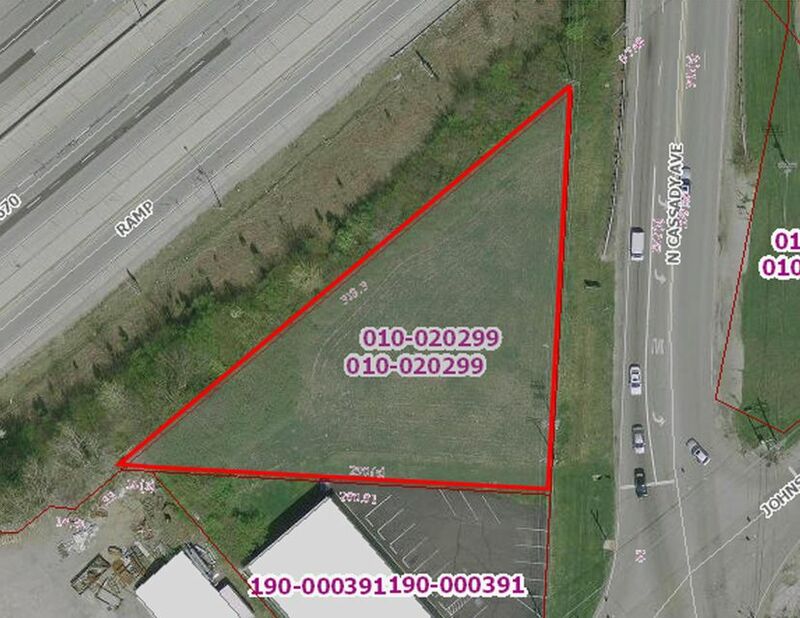 Triangular-shaped lot with 219 +/- feet of frontage on Cassady Ave and 318 +/- feet frontage along I-670 and 290 +/- feet of frontage that abuts the adjoining property. It is located on the west sideof Cassady Ave just north of Johnstown Rd and just south of I-670. Site has sewer, water, gas, electric, & telephone service. Zoned LM-Manufacturing.